Organisation A is more of a people culture, ideas come from the employees within the company as they are trusted and allowed to input into the organisation. As well as this they are well motivated, so want to help the organisation meet their goals and targets. This type of culture heavily relies on groups to help get ideas into practice, everyone gets a say instead of a couple of people at the top making all of the decisions. Because of this it is said that it is safe to fight and be competitive in this environment because ultimately everyone sees themselves as part of one, part of the organisation. 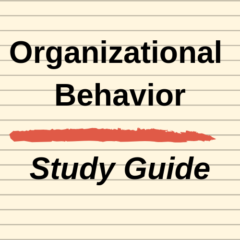 Organisation B is more of a leader based culture. It is said that the older people in the company know best, because of their experience and their greater rank in the pecking order. Despite this it is still seen that employees are capable and therefore slightly trusted, however most of their relationships are vertical and not expandable, people work in their areas and don’t really branch out. The organisation takes good care of the employees because even though they aren’t respected as much as in Organisation A, they are needed so that the leaders succeed. How would you define the Two Cultures Theory? What are the Two Cultures in this Theory?